Those of you in the UK know that we’ve been having an unexpected heatwave this week, and it’s been marvellous! I mean, YAY summer has finally arrived. Although we still like to complain that it’s too hot – we’re really Goldilocks and need the weather to be just right. 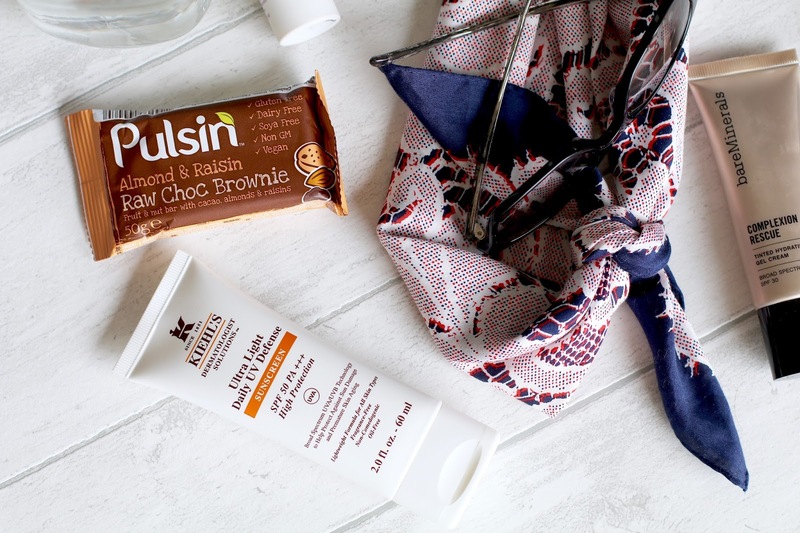 Summer time means ice lollies, soaking up some rays and having a blast, but we also need some essentials to make the best out of summer. Here are some of my top summer essential recommendations. Pretty obvious really, but sun cream is always at the top of my list when it comes to sunny weather. Obviously wearing a sun cream or a product that has an spf in it is good whatever the season, but in summer the rays are out in full force and you can easily be burnt. 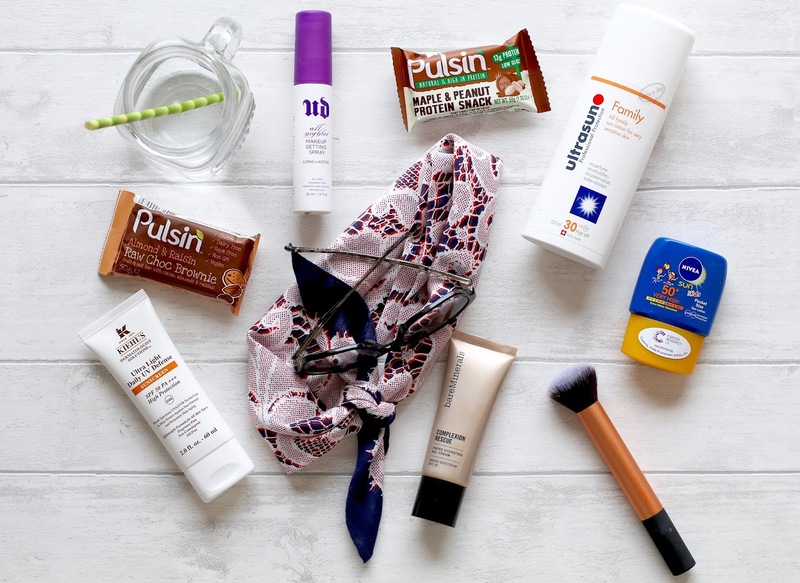 I have a variety of sun creams that I use when I’m at home, some are specifically for my face and others for my body, but I also have a couple of travel size versions so I can have them on me when I am out and about. My favourite for my face is the Kiehl’s Ultra Light Daily UV Defence. It’s a little pricy, but I think it’s worth every penny. Its consistency is beautifully light, which means it sinks in very quickly. Additionally it isn’t sticky, so it can easily go under makeup, making it great for when you just want to get ready quickly. Plus it has an SPF of 50 with UVA and UVB protection, what’s not to love?! My go to sun protection for my body is one that I have been using for many years and it is by the brand Ultra Sun. I find that it does a great job when I’m in the UK and aboard (I’ve used this in America and Europe), and it isn’t as heavy as most other sun creams I have tried. I tend to use SPF 30 for most of my body and SPF 50 for my face seen as my face usually catches a tan and most of my body doesn’t. Why do you do this to me sun?! However I usually end up putting some SPF 50 on my shoulders and collar bone as these areas burn very easily – on me anyway. 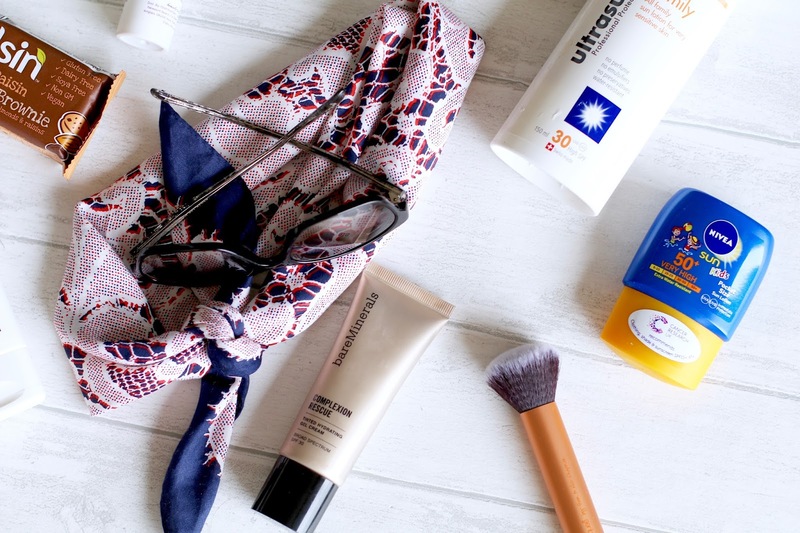 Seen as it is best to top up your sun cream throughout the day (especially if you’ve been swimming) I’ve got into the habit of carrying round a travel size in my bag. Which is always a good idea because I cannot tell you how many times at least one of my travel companions have asked if anyone has any sun cream on them because they feel like they’re catching the sun. This one by Nivea is my go-to for my handbag. Again a very obvious one, sunglasses. 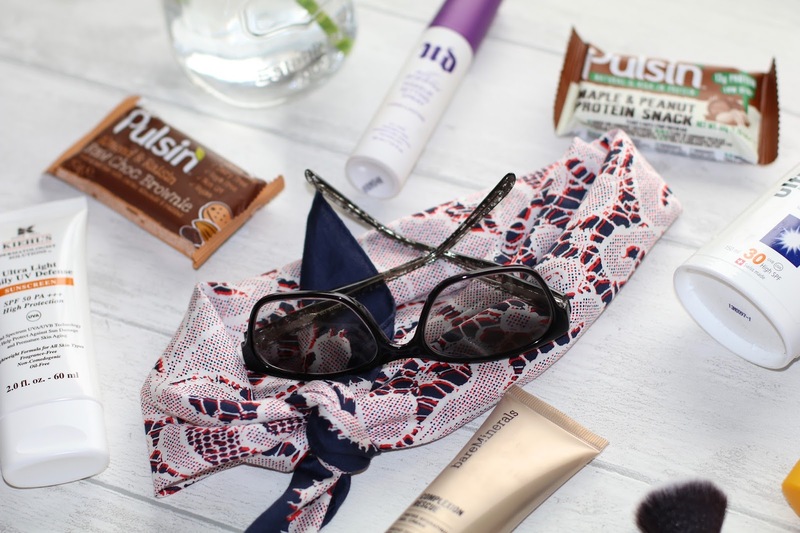 Most of us have a favourite pair, or five, that we have in our bag or the more likely scenario is that they’ll be glued onto our faces seen as it has been lovely and sunny and no one likes to squint. Plus wearing sunglasses all the time means we can get our Anna Wintour look going on. Fun fact I recently learnt: people with blue eyes are more sensitive to light. I always wondered why I squinted more than other people when the suns out! I love sitting outside revelling in the sunshine just as much as the next person, but shade is your best friend when you get a little too over heated or start to feel like you’ve got sun stroke. Plus sometimes your body needs to cool down if your not used to being in a hot climate. I’ve raved about the Bare Minerals Complexion Rescue in my Spring Makeup and My Holy Grail Foundations posts and I’m going to do it again! This product is my number one for a light even complexion makeup base and what’s even better is that is has SPF 30. So if you forget to put on sun cream it’s ok because your covered! There are plenty of other alternatives, drugstore and high end, so if you didn’t get on with this particular one there will be something for you. I find that when wearing a light foundation / BB cream it’s much better as you don’t have to worry about foundation sliding / sweating of your face. That’s never a good look. Plus that means you don’t have to touch up during the day. By face mists I don’t mean makeup setting sprays, I mean something that is just there to spritz your face when you get too hot. I currently don’t have one of these but I’m definitely going to pop out and get one. So my Urban Decay All Nighter makeup setting spray will have to do for the time being. If your like me and you have combination/oily skin your probably wary of hydrating mists, but they are a great way to feel instantly fresher and cooler. In the past my go-to has been the Evian Facial Spray can I can’t fault it. It’s even better when you spray it with a fan in front of your face – double the coolness! Back to what I was meant to say: We need to feed our body other things to keep our energy levels up. Being somewhere sunny when we’re not use to the heat (or even if you are) takes a lot out of you, so eating something healthy or semi healthy to give you energy and stop you feeling faint is always a good idea. Recently I’ve been loving the Pulsin snack bars. They come in two varieties, one being similar to a brownie and the other is more of a protein snack, and both have a variety of flavours so there’s something for everyone. Not only are they delicious, but most of them are gluten free, dairy free and vegan. My favourite has to be the Maca Bliss Raw Choc Brownie because if you close your eyes it actually tastes like a brownie. Bonus! You may have noticed that that particular brownie is not in any of these photos… I may have eaten my last one a couple of days ago… oops. 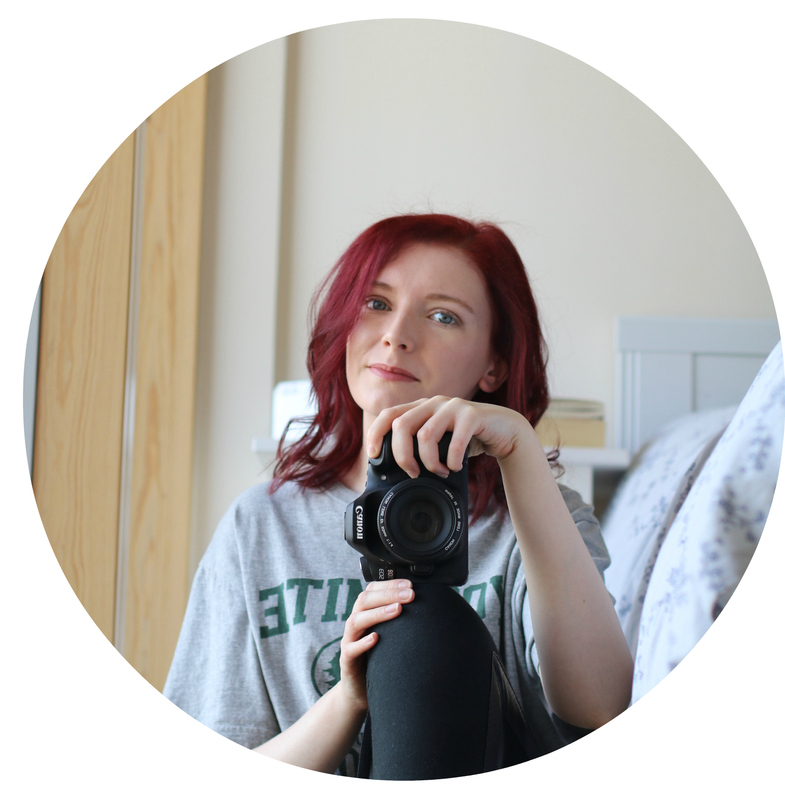 Don’t forget to follow me on Bloglovin so you can catch all my latest posts without missing any! Welcome to Tegan Edits Life! I'm Tegan, the creator of this blog. Here you will find everything from lifestyle tips to delicious recipes and a lot of travel inspiration.